As one of the fastest growing companies in the industry, we offer generous compansation package as well as the unlimited growth opportunities. 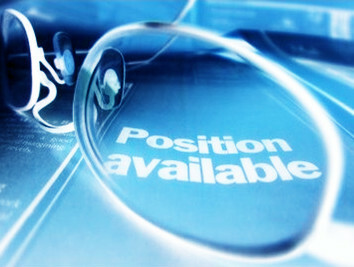 Our company invites experienced power management chips field application manager. Eligible needs to have power management chips application, power supply or electronic system design (mobile phones, digital cameras, liquid crystal TV, etc) and related field work experience. We will provide excellent stock incentive and incentive mechanism. 3. Cooperating tightly with analog group, interfacing to supporting groups such as design, layout, test, and application engineering. 1. Tapeout and working experiences from RTL to GDS. 7. Creative, self-motivated, responsible, good team work spirit. 1.Work with company’s R&D team to design, develop and optimize the packaging solutions for new IC product designs during the product definition. Evaluate the new package and assembly process robustness in pre-qualification stage to ensure the first pass success. 2.Work with assembly subcontractors to develop,qualify and sustain the package in high volume production, and solve the manufacturing process issues. 2.Previous experience on wafer bumping technology, flip-chip or MCM is a strong plus. 3.Strong fundamental in the fields of electronic packaging related mechanics and material science. 4.Hands-on knowledge of package reliability, failure analysis techniques and assembly process issues. 5.Communicate well, have strong analytical skills, be attentive to detail, and be able to work both independently as well as in a team environment. 2.Screening of new products (power/analog integrated circuit products) advice with design team, system engineering team & on-site, make the product specification according to customer demand. 4.Make effective system to give technical support for key customers and FAE. This position requires at least visit the key customer twice a year .